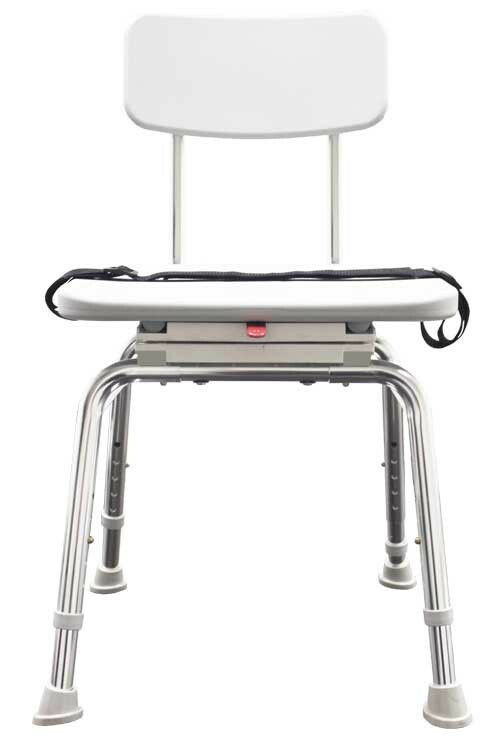 Swivel Shower Chair from Eagle Health Supplies is available in two separate versions. Select between a standard swivel shower chair and a swivel shower chair with a wide cut-out space for easy personal care. 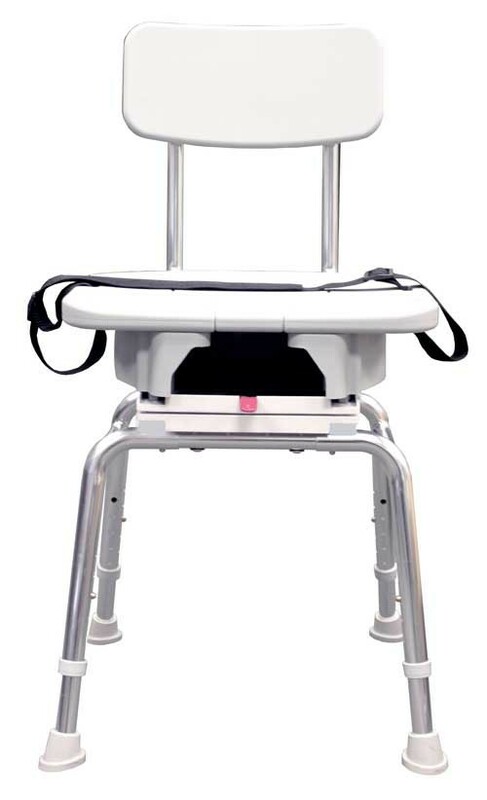 This chair is manufactured with blow molded plastic seat and back that is durable as well as a rustproof aluminum frame. The seat swivels or turns 360 degrees and locks every 90 degrees. 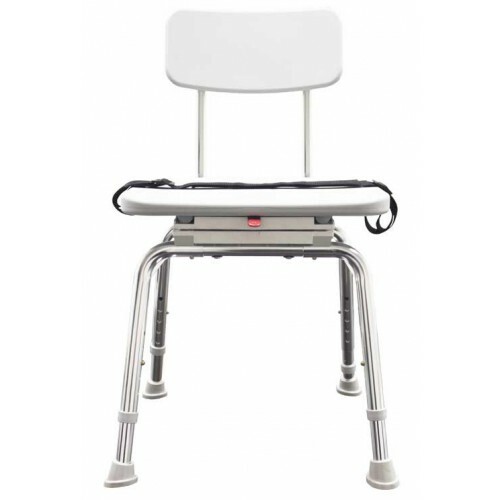 This feature allows for easy entry and exit from the chair. 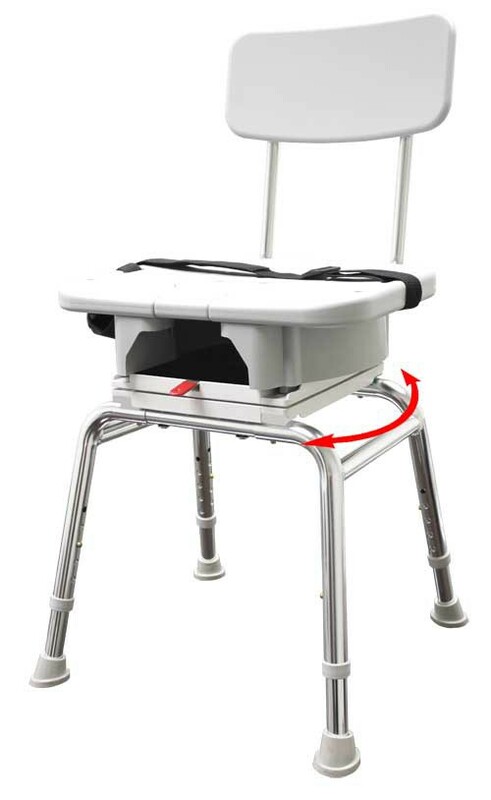 The height is adjustable to individual needs. Assembly is accomplished without the need of tools. These Swivel Shower Chairs support up to 300 pounds. 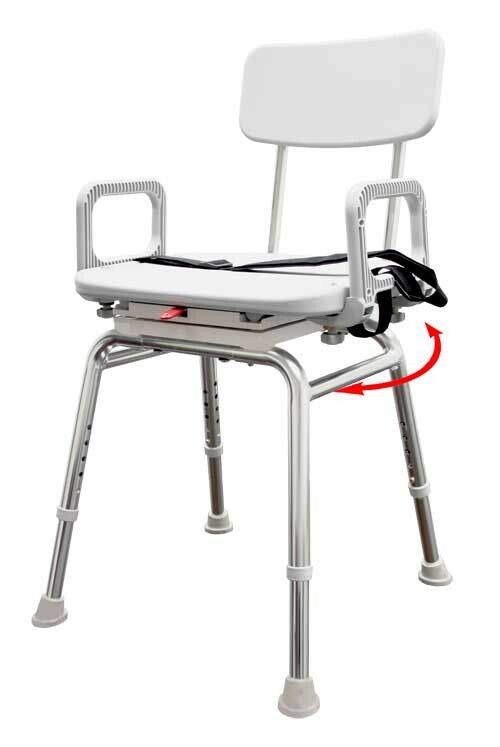 Eagle Health Supplies also manufactures the Hip Chair, the Sliding Transfer Seat and the Bariatric Commode. Blow molded plastic seat and back with textured finish. Product Numbers: 75232 (standard), 75233 (cut-out). Seat Size: 17.75 x 14.75 Inch. Seat Height: 20 to 24 Inch. Base Width: 18.5 - 19 Inch. Base Depth: 17.5 - 19.5 Inch. Does this swivel shower chair come in a weight capacity above 300 lbs?